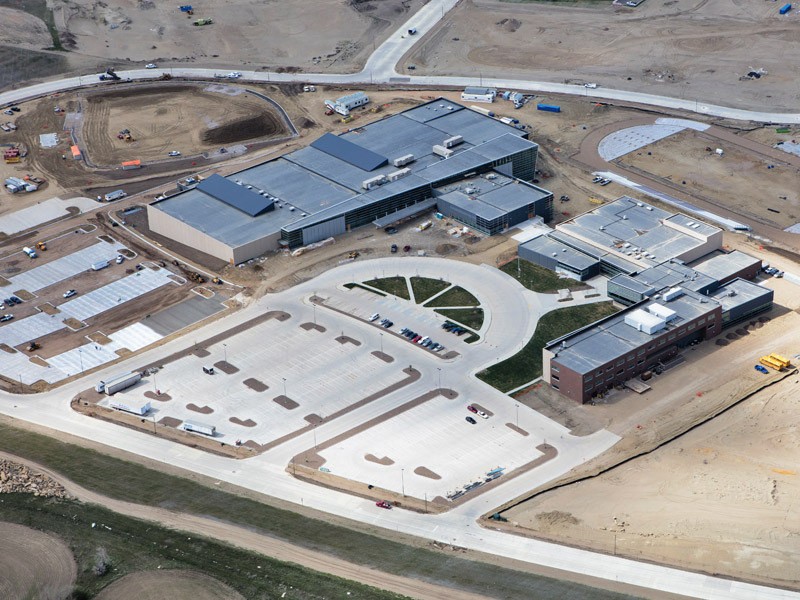 Watford City proposed to construct a new High School and Event Center (HS/EC) along with extensive improvements to serve the new HS/EC and surrounding area. Since the HS/EC was located away from any existing roadway system, the project included design of nearly 2.5 miles of roadways that would provide access from two existing arterial roadways. 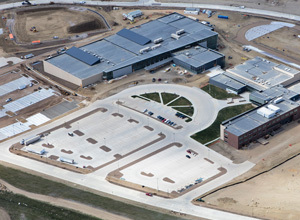 For utilities, the project included new water, sanitary, and storm utilities along the entire 2.5 miles of roadways, including planning for capacity and locations for future connections. Storm sewer improvements included designing new trunk-line storm sewer and street inlet network, with storm sewer sizes ranging up to 60 inches. 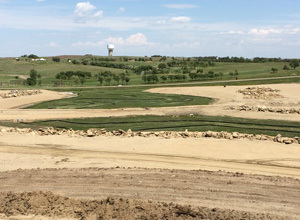 The storm sewer system was designed to discharge at multiple locations to seven new regional stormwater facilities that would serve over 430 acres of new development. AE2S designed the regional stormwater facilities to create a greenway corridor along an existing waterway, which required evaluating a much larger watershed to evaluate regional peak discharges and water quality. The tributary was delineated as a wetland / waterway that was subject to US Army Corps of Engineers jurisdiction. 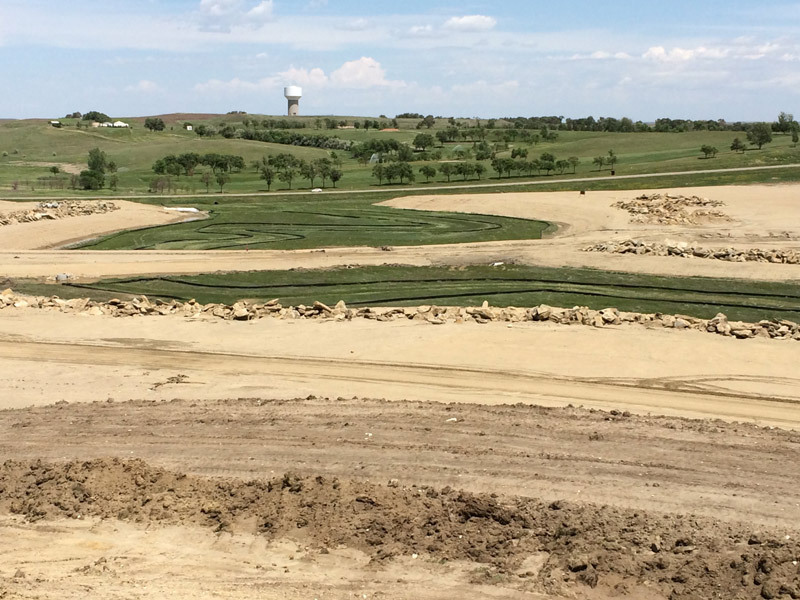 AE2S’ project planning and familiarity with wetland regulations allowed us to work with the Corps and project team to create a project that was still eligible for a Nationwide Permit despite the numerous wetland / waterway crossings. One of the stormwater facilities was also located in a FEMA designated floodplain, so AE2S prepared a CLOMR application to FEMA that also included grading and proposed development from several adjacent proposed developments in order to streamline FEMA permitting and minimized City and developer costs for the floodplain applications. In addition to the civil and utility improvements, wetland permitting, and FEMA approvals, AE2S also integrated the greenway and stormwater detention facilities into a linear pathway / park system that would run through the center of the planning area.